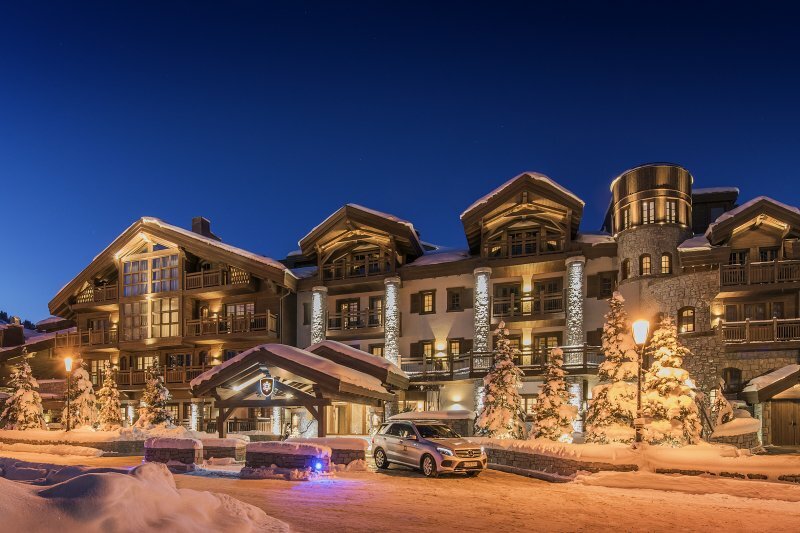 An exceptional place within the already luscious hotel environment of Courchevel. Cheval Blanc is the ideal space at the ideal place where only the best is good enough. At Cheval Blanc you do not speak of food but 'Culinary Art'. Indeed this is the best way to describe the gastronomy here. Expect the unexpected when it comes to matters of taste and ingredients. Head Chef Yannick Alléno will take you on a culinary journey at Restaurant 1947 that carries the same name as the prestigious vintage of Château Cheval Blanc. A stay at Cheval Blanc is a made to measure experience. You are not just a 'hotel guest' here and the staff meets all expectations you might have. The hotel comes with well trained staff that will take care of your wished and requests. The hotel comes with a wide variety of rooms and suites starting at a minimum of 40 m2. Besides the regular rooms and suites there are 2 Duplex suites with beautifully-appointed living rooms (70 and 105 m2) available. 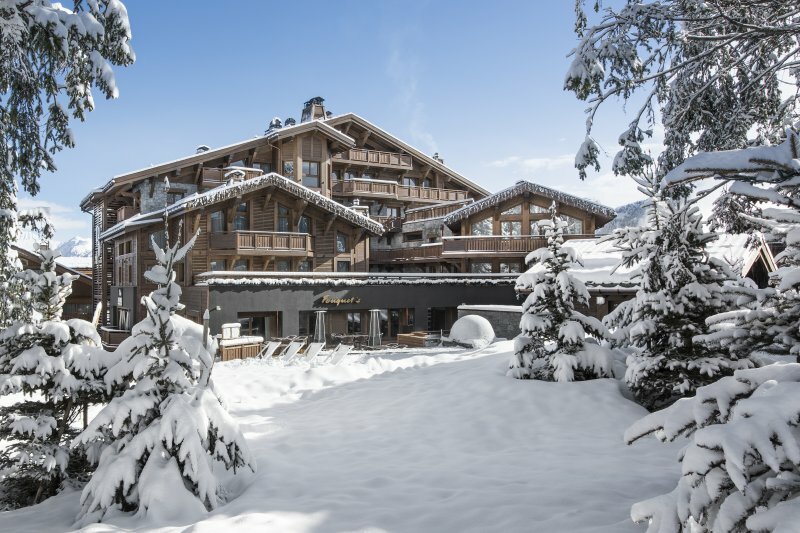 on top of this there is Le Chalet', an exclusive 3-bedroom residence with a private spa treatment room, movie room and 315 m2 of outdoor 'playground'. Last but not least there is 'The Apartment', a 4-bedroom, 650 m2 penthouse filled all you can think of and serviced by a team of private, dedicated staff. The well being center by Guerlain. The well being center boasts a Spa, a hair dressing service, a fitness center and a pool. Let's describe it as pure pampering! You will find artworks throughout the hotel that not only provide a certain vibe but even lead to a conversation as they are true eye catchers. The Bruno Peinado horse is perched majestically on his throne outside of the hotel like a gatekeeper. Cheval Blanc is all about celebrating life. The hotel shows its true colors by making every festive opportunity a memorable one. Whether it's your birthday of a national holiday, the hotel will make it feel extra special and unforgettable. The hotel is part of the legendary LMVH Group that included brands like Louis Vuitton, Moët & Chandon and more. A Cheval Blanc experience is 'designed' by a company with great eye and feeling for design and luxury. The ski-butler takes out your ski's in the morning accompanied by a flag that shows your room number. Hop on en hit the slopes without any delay to ski a full day! Courchevel offers you new slopes to discover every day, 606 kilometers to be precise! Because of the high altitude, top class hotels and top class restaurants, Courchevel became jesetter's playground over the past two decades without losing its charm and authenticity. Courchevel is a lively and vibrant place and the village offers a perfect blend of old- and new hotels. 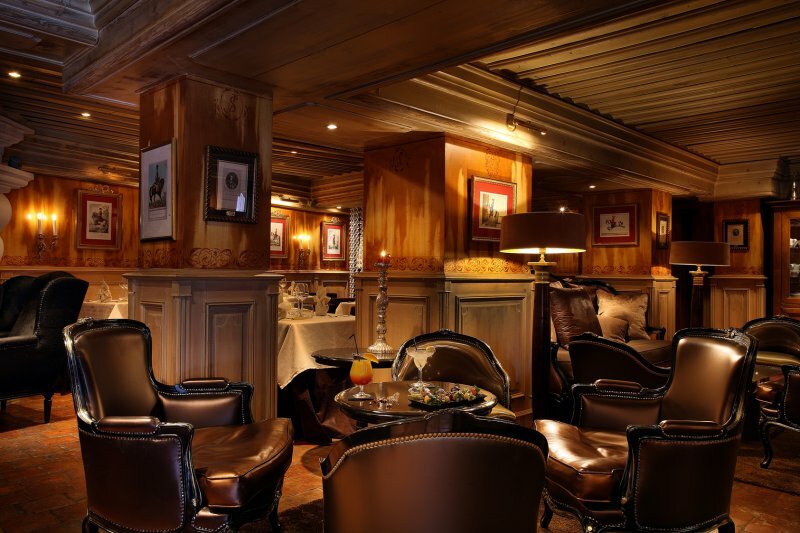 L'Apogee is probably one of the most luxurious and glamorous stays in Courchevel. This slopeside piece of heaven is located in Courchevels beloved Jardin Alpine. A luxurious hideaway in the heart of Courchevel. This chalet-style hotel offers everything you can think of, including a fab interior design.